Today's post explains what has been in the forefront of my mind over the last few days. A few weeks ago I found I was accepted into the 43rd Gosport Fine Arts Festival in Olde Town Portsmouth , VA http://gosportartsfestival.com/. 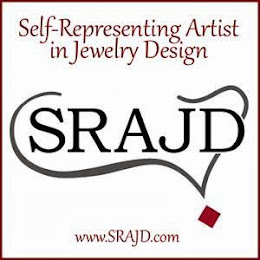 I was thrilled to be included among such a select group of artists. Along with that thrill came the realization that I am not really equipped to participate in a two day, outdoor show. So I have been on a research and buying binge trying to accumulate what I think I need to make an appealing, professional, weather proof booth display. Very early on I did a couple of small outdoor shows, but I had no tent or other covering, and I suffered the affects of both rain and hot sun. Since then all of my shows have been indoors, which is nice as the weather never has to be a factor in your display. So a recently I bit the bullet and purchased an EZ-UP tent with sides, and two sets of weights to add 40 pounds to each leg. This show is on asphalt so the stakes included will not be any help. 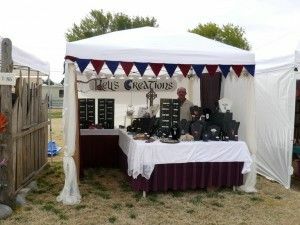 Now I am searching and researching on the web, using Pinterest, Artisan Whimsy and Face Book groups like Creative Bead Chat for pictures and advice on how to make a WIND resistant display. In trying to set up within a tent there are a couple of schools of thought. First is to make a horseshoe with your tables and displays, inviting people in to look, if they venture in they will stay and shop. 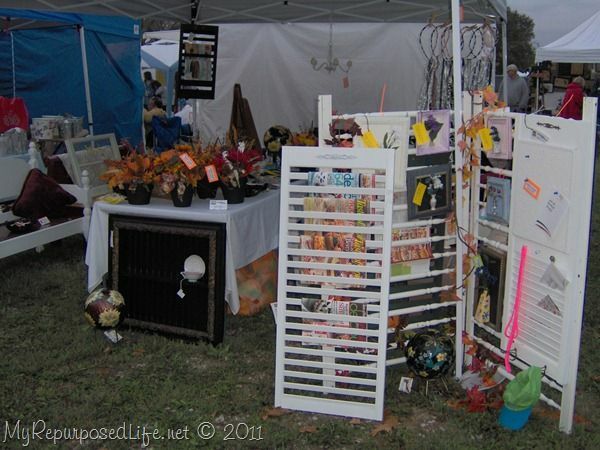 Another idea for a more weather proof look is to cluster your tables in the middle, away from tent walls where wind and rain can damage your display and merchandise. 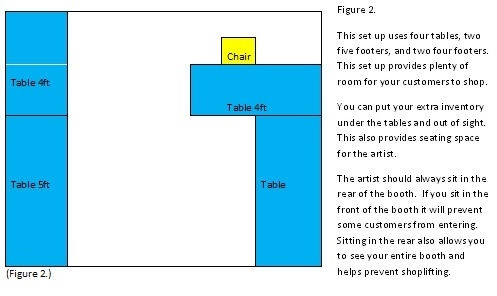 Third would be to set up tables across the front, but I have never liked this 'fence' theory as I like to move around, talk and interact with visitors. Here you see a re purposed crib being used, I actually have one of these that I used early on. I had abandoned recently to make packing out lighter, but for a big two day event, I think it would be worth it. 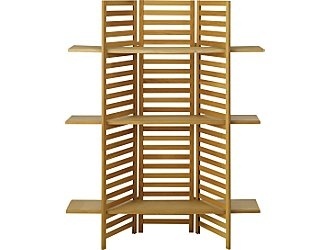 I like this fixture on the right as a way to add shelves and think I may be able to buy 3 white shelves and incorporate 'my crib' ~ Voila! 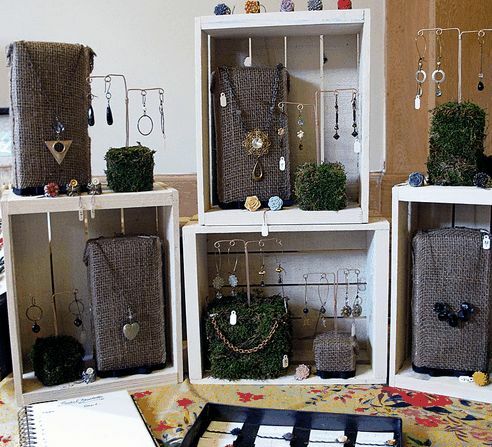 Using burlap wrapped bricks as weights and displays is a chic and smart way to display. 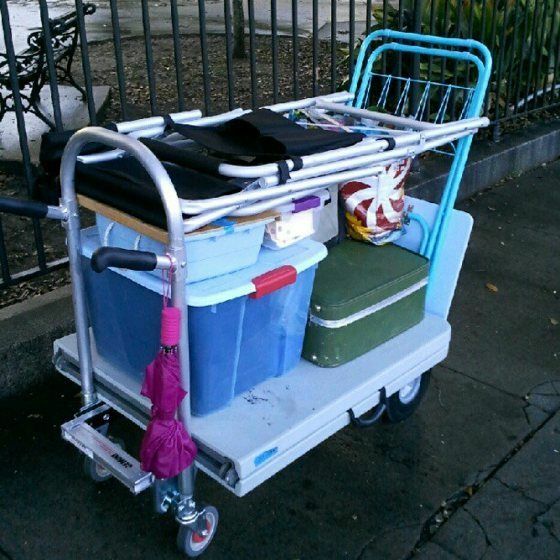 This is a necessity, being able to transport everything with you breaking your back or making a 1000 trips to your car. 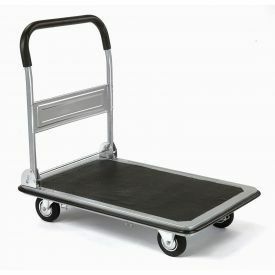 MUST HAVE!~ a rolling dolly or hand truck. 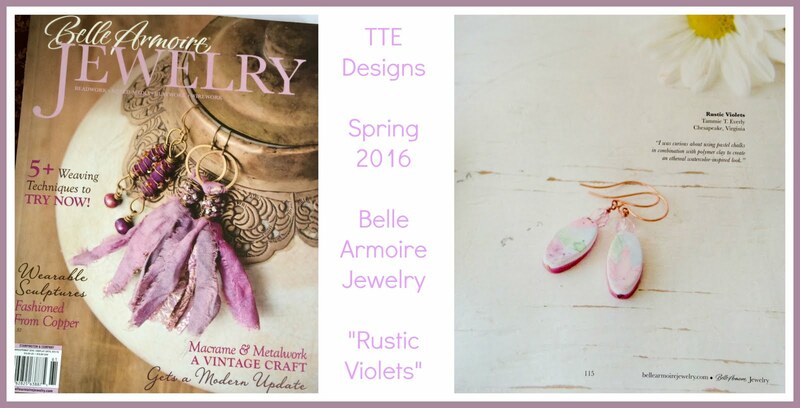 I do an outdoors Farmer's & Artisan's Market from April - October (it starts this Sunday!). I have weights for everything! I prefer an L or U shape for my tent, too. 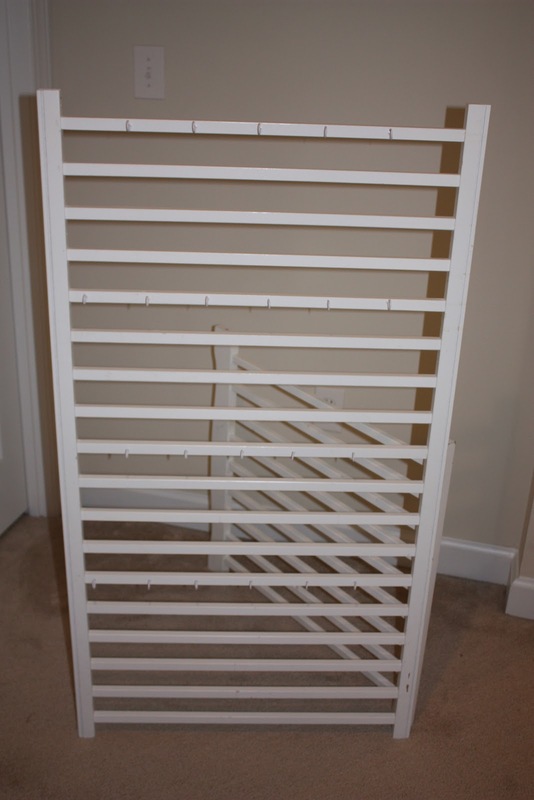 How do you plan to weigh down the crib/rack? I would worry about how light it is. I like the brick idea, I will need to look into getting some for my display. I also am sure to have water, snacks, and a cool rag on super-hot days to make sure the vendor doesn't collapse! Nope you KNOW i have nothing to offer you as far as advice..I come here to learn from YOU! I have the art festival show 5/4 with alz.org plus opening my table at Farmer's Market beginning 5/11...so please keep talking about this! 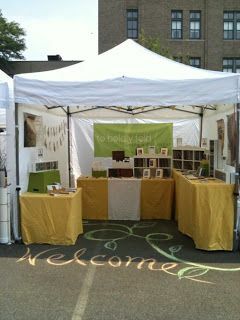 Love the burlap bags and chalked welcome!! Keeping the merchandise away from the sides is a good idea when it rains because the rain tends to angle in and drip a bit especially when there is any wind. I am able to shift my tables and box myself in a tad more when this happens. If rain puddles up on your tent be aware that when you poke it to release it the rain will dump INWARD on you or your merchandise. Be careful when you do this! Weight down anything that has any height, wind can blow it away. Packing tape is good for getting dust off of your fabric displays or one of those things you use to get lint off of clothes. When the wind kicks up I put everything down to table level. if it's raining too hard I don't even bother to set up but I have that option with our market. I live 100 miles away from it so the weather can change in two hours or 100 miles. It's just not worth it for the amount of sales I get and the difficulty of setting up and things getting soaked. That's all I can think of for now. It's on my mind because I'll be setting up again in just a few weeks. Hopefully the snow will be gone by then! Well, as you probably read my first show ever was outdoors, and it poured. Biggest things I learned #1 don't make a wind block and #2 always bring 550 cord. Good Luck Tammie! I've done outdoor shows for almost 20 years. One thing I started doing early on was to hang cheap shower curtain liners from my canopy sides and roll them up and secure with ball bungies. Then, if it rains, I can just pull the bungies loose and I have a rain shield on whatever side needs it. And if you haven't found them yet, the ball bungies (round bungies with a ball on the end) are your best friend for all kinds of applications.